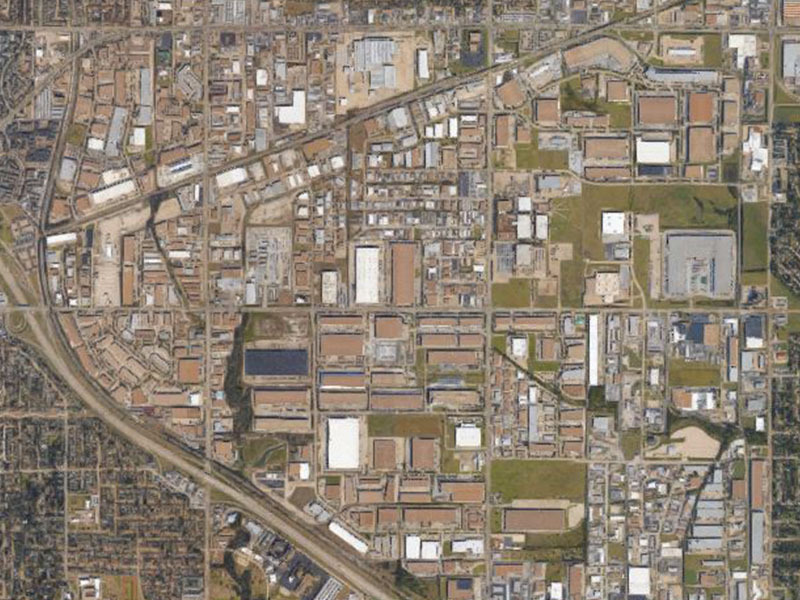 The company I have worked for the past 20 years recently built for us a brand new campus in Richardson, Texas near the George Bush Expressway. 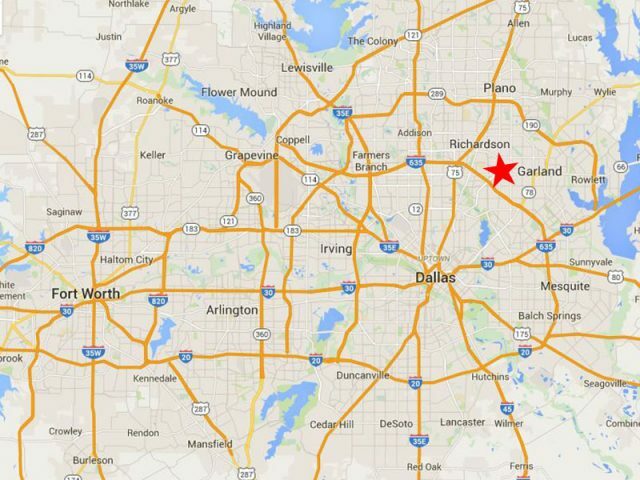 Our old facility was located just a few miles down the road in the City of Garland. That building complex can trace its roots all the way back to the 1940s. It began as a commuter aircraft factory back at a time when the only other thing around was farmland from horizon to horizon. 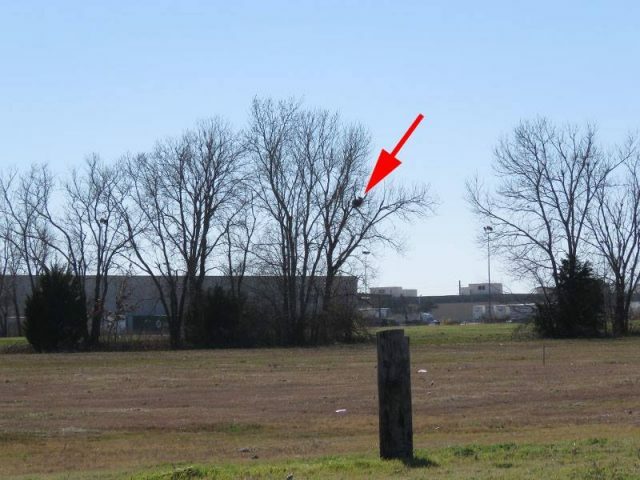 The general location of our old facility in Garland, Texas. Over the intervening decades the surrounding area changed dramatically. Buildings were built and buildings were torn down. 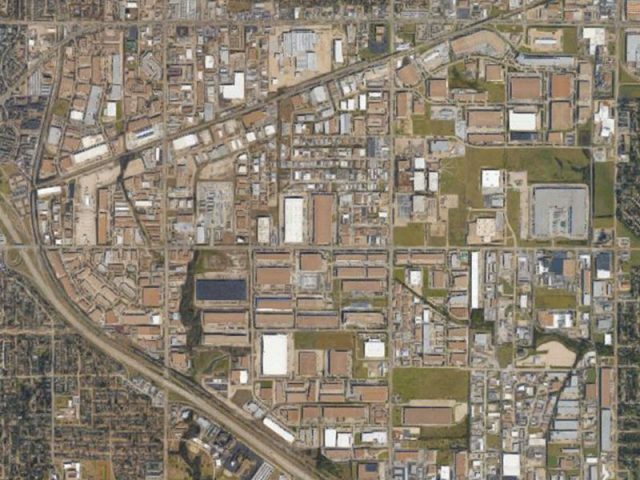 Neighborhoods, apartments, businesses, and warehouses grew up all around. Our heyday at this site may have been in the 1980s and early 1990s. Since then the condition of the campus has been on a slow but steady decline. Age was taking its toll. Late last year our new facility was completed and came online. In February, my team packed up and moved in. It was a day I never really believed would ever arrive—but somehow it did. The move went smoothly and the new campus is awesome. It feels like home already. 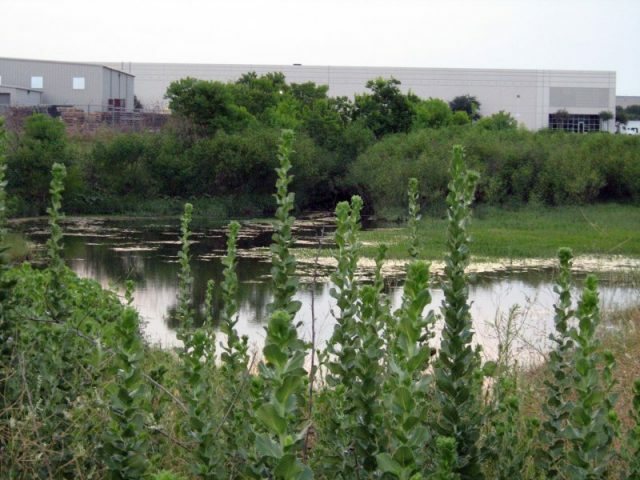 What I am leaving behind is convenient access to an intriguing and beguiling habitat for urban wildlife. My old office was located in middle of a sprawling warehouse and industrial district. Included in this concrete landscape was an intricate network of vacant lots, wooded areas, creeks and other water features. There was just enough green and blue here to create thoroughly fascinating urban wildlife environment. This is what the area looks like from the air. 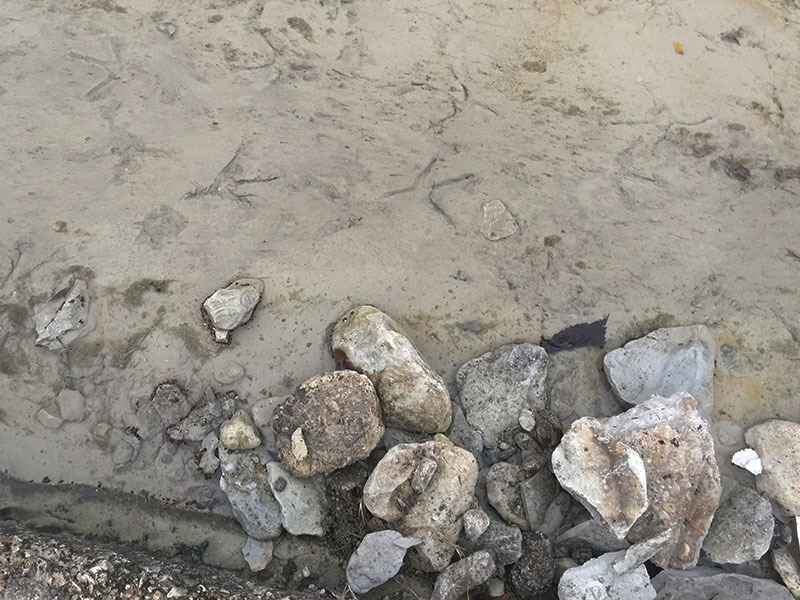 As you can see… that is a lot of concrete! Almost everyday on my way into work I would make note of a promising looking tree line, or a drainage ditch cut between buildings, or maybe an isolated retaining pond, or some such. 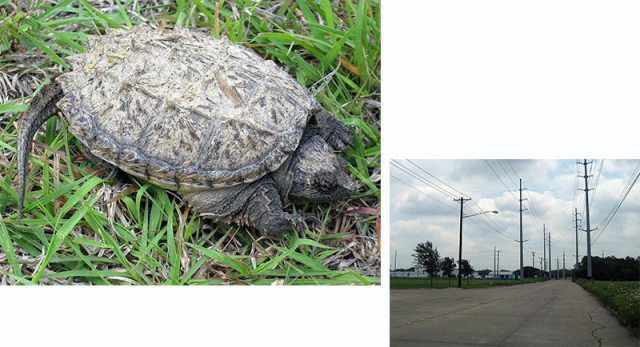 Other times, I might spot some actual wildlife—a turtle crossing the road, or coyotes working a fenceline—and stop for a couple of quick pictures. Juvenile Common Snapping Turtle was found trying to cross this road. 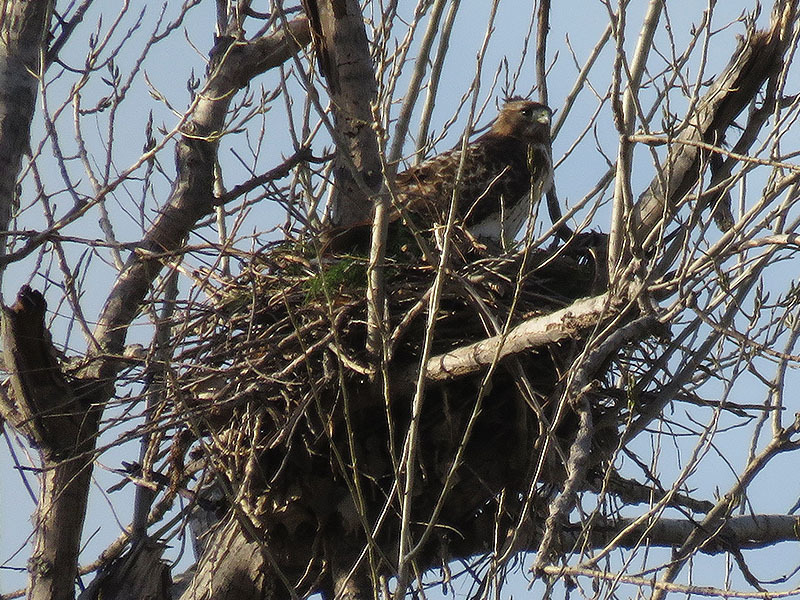 Red-tailed Hawk nest in a forgotten row of trees. 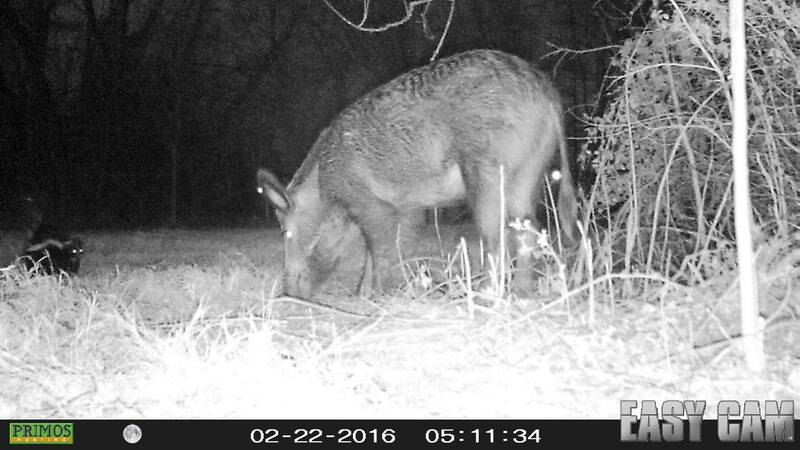 Coyotes hunting along a fence line. At those times the thought would always cross my mind that I really needed to do a wildlife survey here or there sometime very soon. 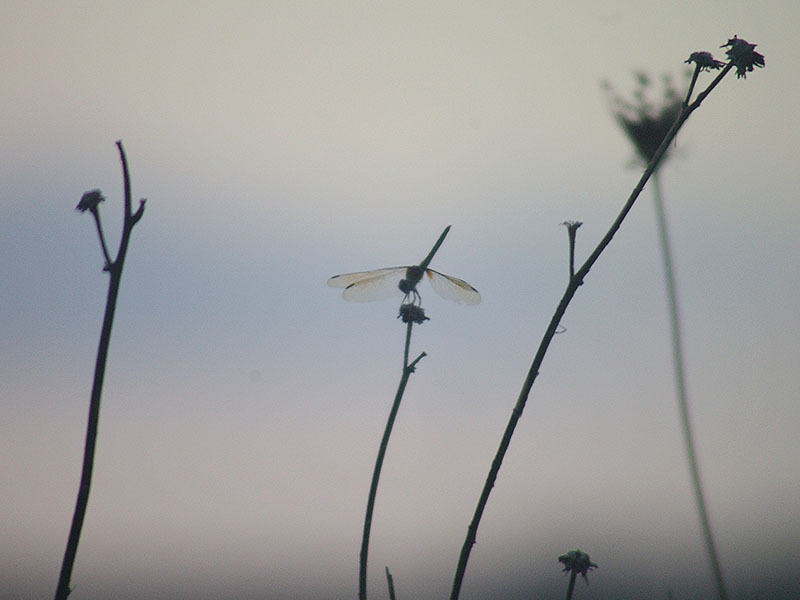 On a couple of occasions I did take the time to investigate a promising spot and take a picture or two. But, most of the time I procrastinated, thinking I had all of the time in the world—Boy, was I wrong. 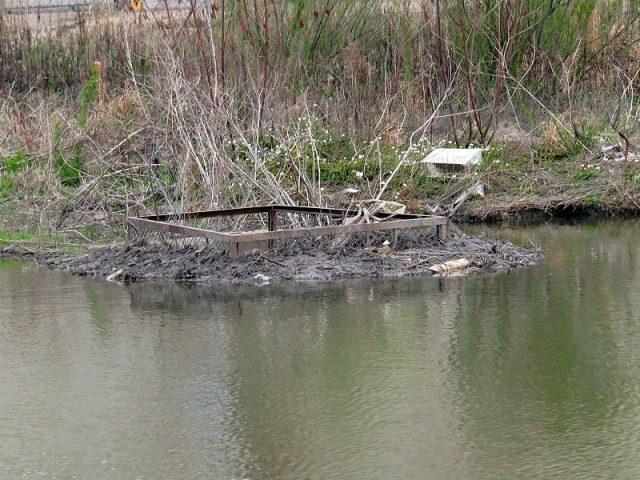 With exception of an intriguing little pond several years ago, I have never investigated the area in a thorough or systematic way. 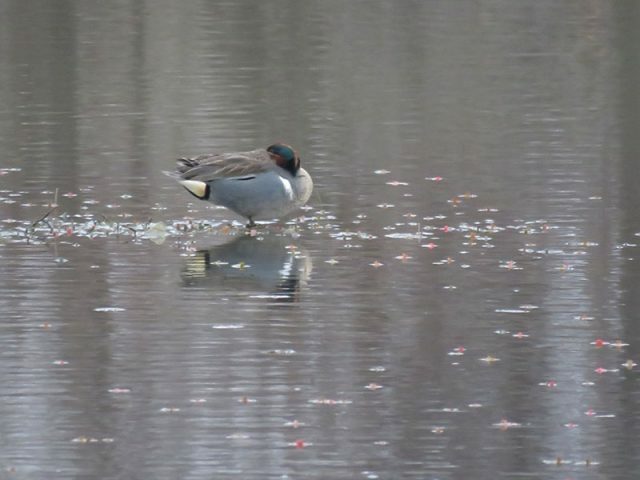 I will tell the story of the pond a little later in this article. During my last two weeks in Garland, I made the time to do an impromptu and abbreviated wildlife survey of the area. Although I can certainly come back into this part of town anytime I want, I felt sure that after moving away my priorities would change with the new surroundings, and I might never get back around to it. It was likely now or never. The survey produced fascinating results and a few surprise findings. 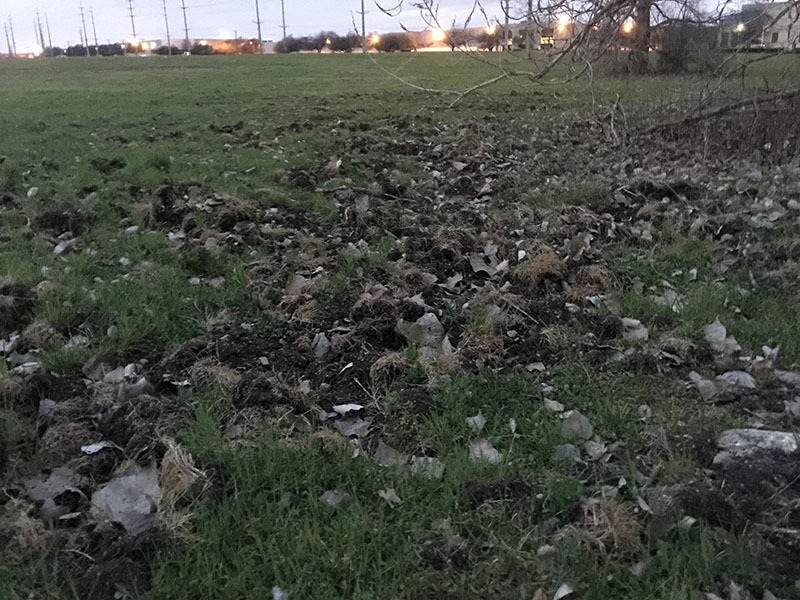 Combined with pictures from past investigations, I now had enough documentation to describe this intriguing and unique urban wildlife situation. 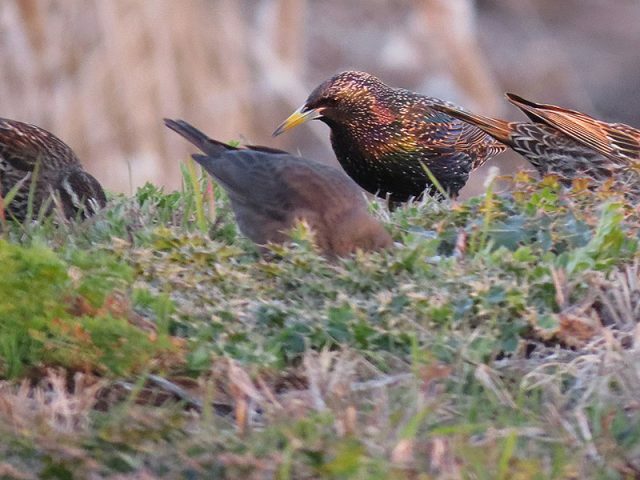 A truly amazing variety of critters were eking out an existence in this challenging and very urban environment. The results of the survey can be found below. 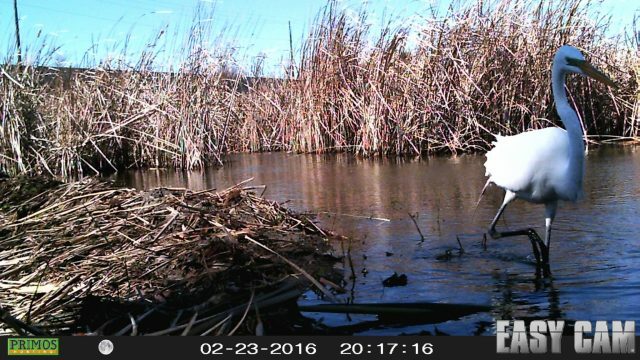 One of the first things I noticed was this fantastic little Beaver dam and lodge just off the side of a busy road. 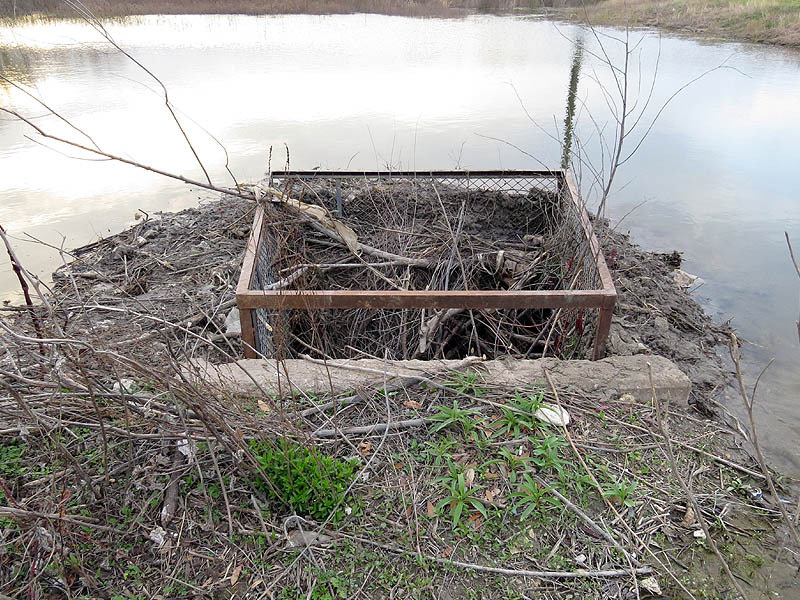 The dam has created a reedy pond that helps support many different type of urban wildlife. 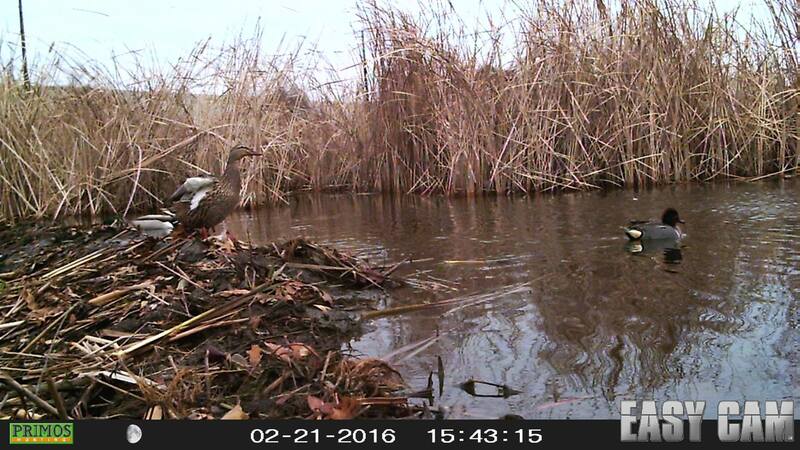 A quick trail camera survey revealed our aquatic engineer and his many friends. Mr. Beaver working the night shift. The phrase, “Busy as a Beaver,” is very apt. A Great Egret hunting near the dam. Two Mallards and a Green-winged Teal. 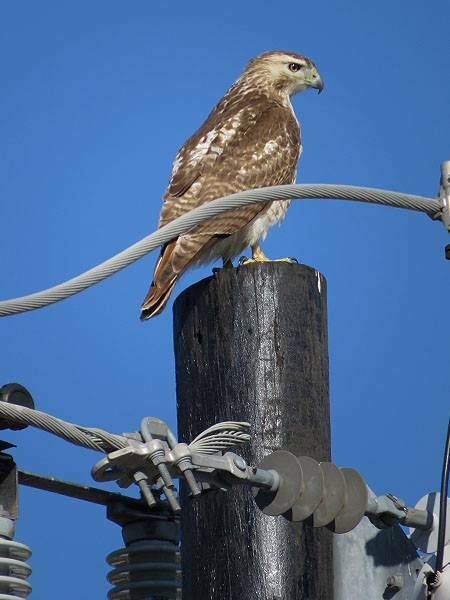 The Red-tailed Hawk may be our most adaptable raptor. 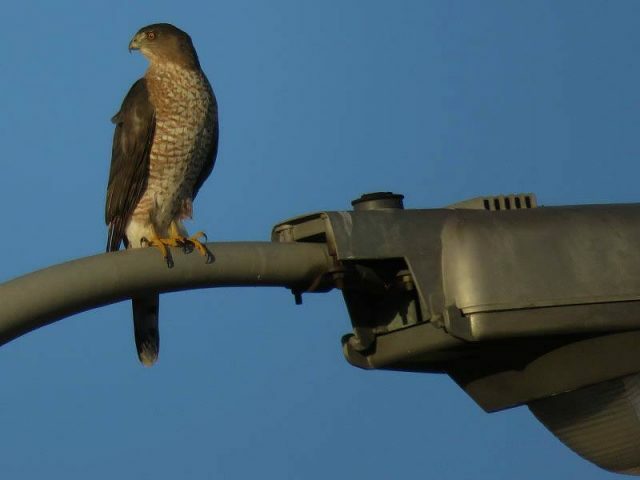 They have moved into urbanized areas all across the county and are thriving there. 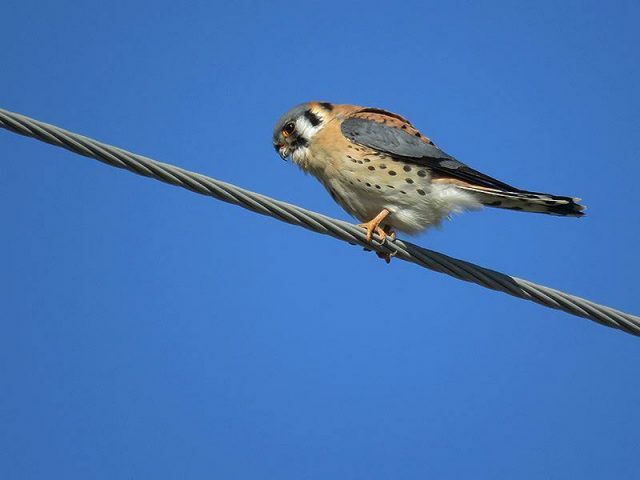 You can spot these guys soaring through the air over the metroplex just about anytime you feel like making the effort to look—finding one of their nests is decidedly more difficult. 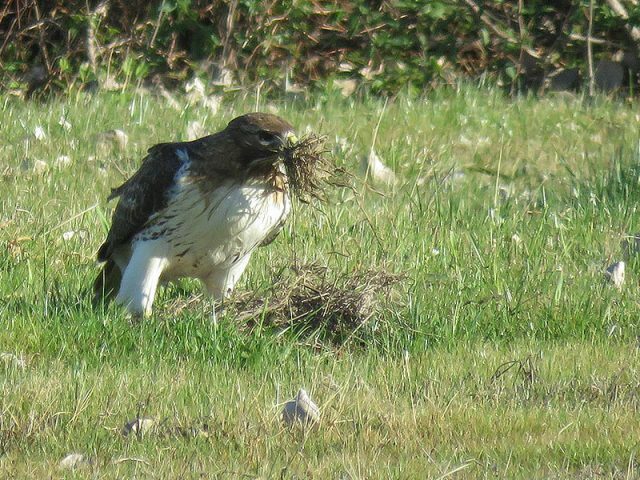 I first observed this nest late last summer, well after the breeding season. It was not occupied at the time, so I kept a close watch on it as the weeks and months went on. 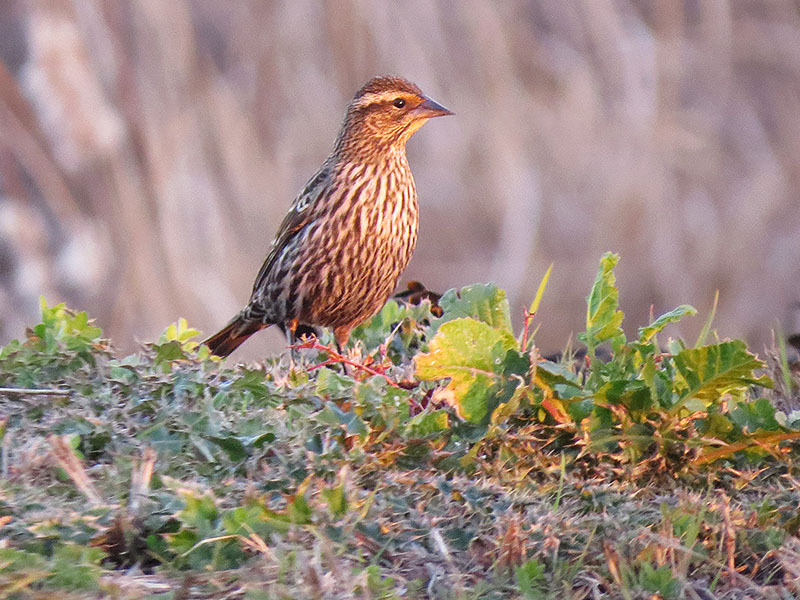 Finally, in early February, I began to notice some activity. 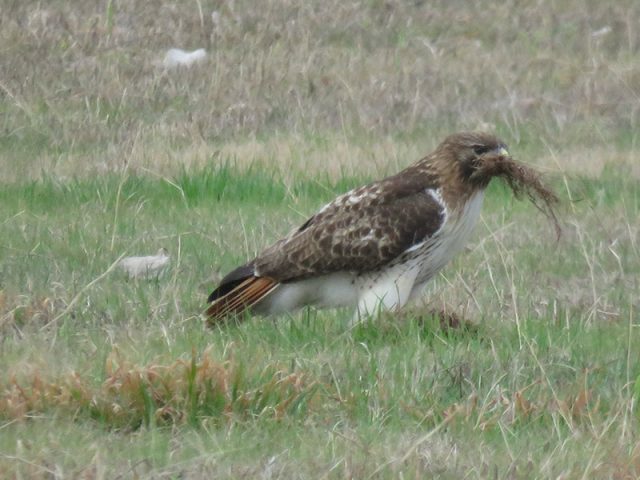 During this wildlife survey I checked in on it again, and had the privilege of witnessing the hawks collecting nesting materials and engaging in many other fascinating behaviors. 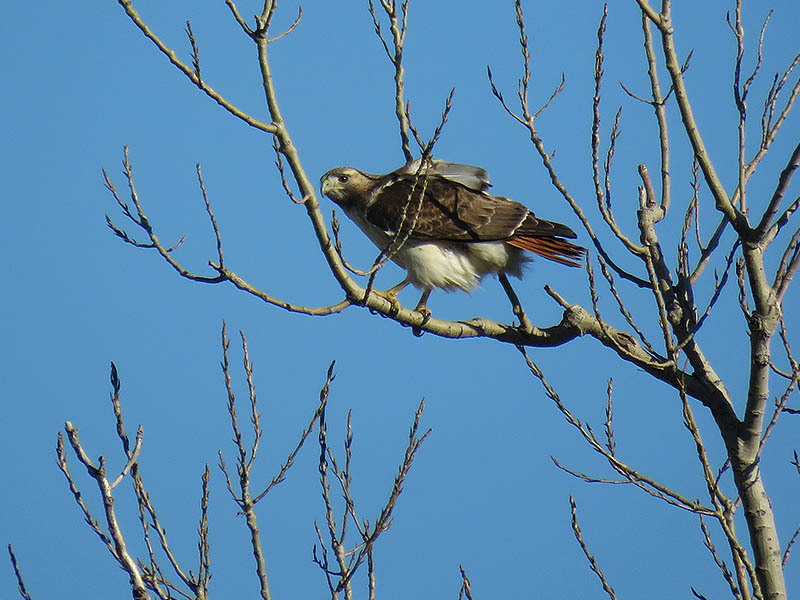 The female redtail refurbing the nest. The male hawk on the ground collecting nesting materials. He finally found just the thing he was looking for. 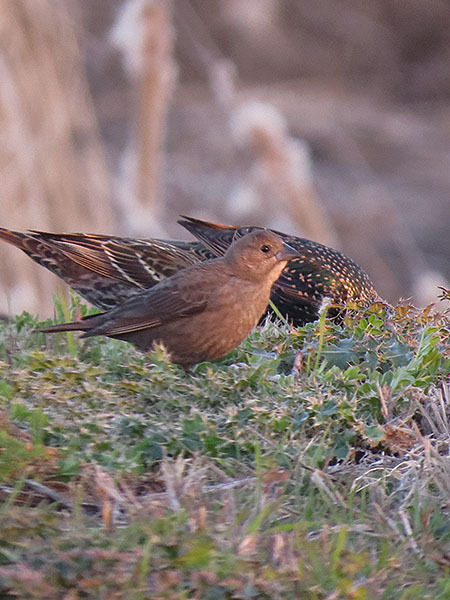 The female kept an eye on her mate from a number of different vantage points. 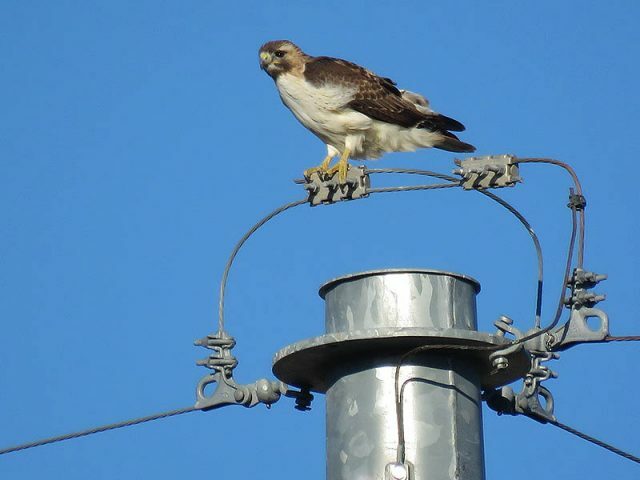 Here she is on top of a utility tower. 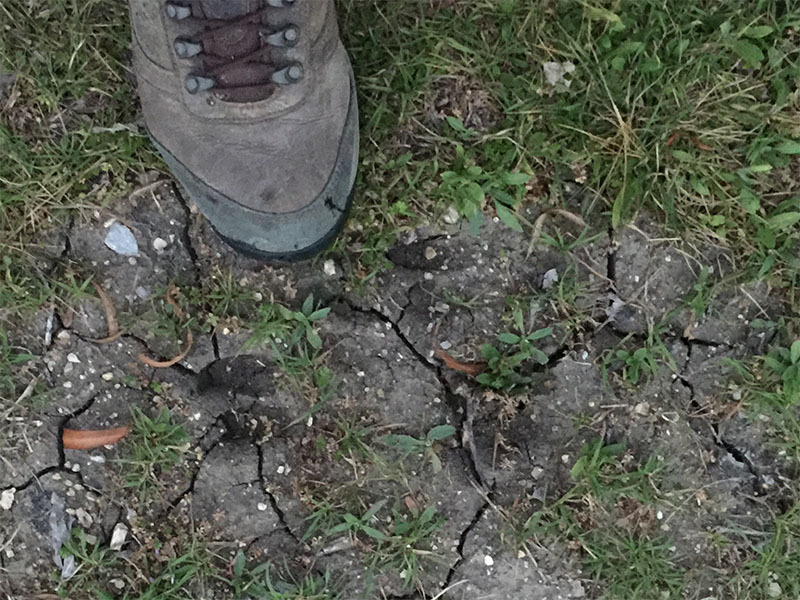 Cloven hoof prints stamped in Garland mud. Here he is! 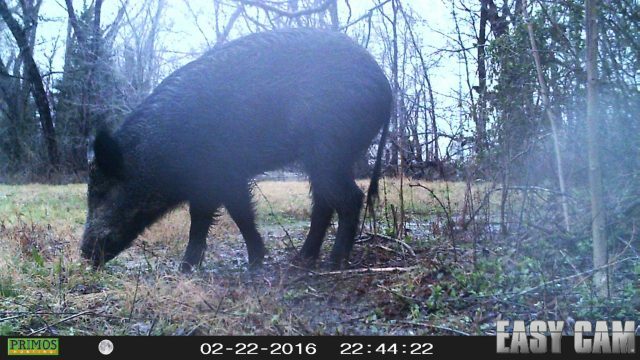 A Feral Hog in the most unexpected of places. 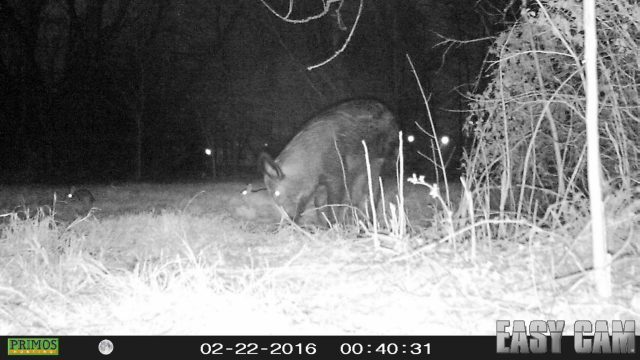 Feral Hog with cottontail rabbits. 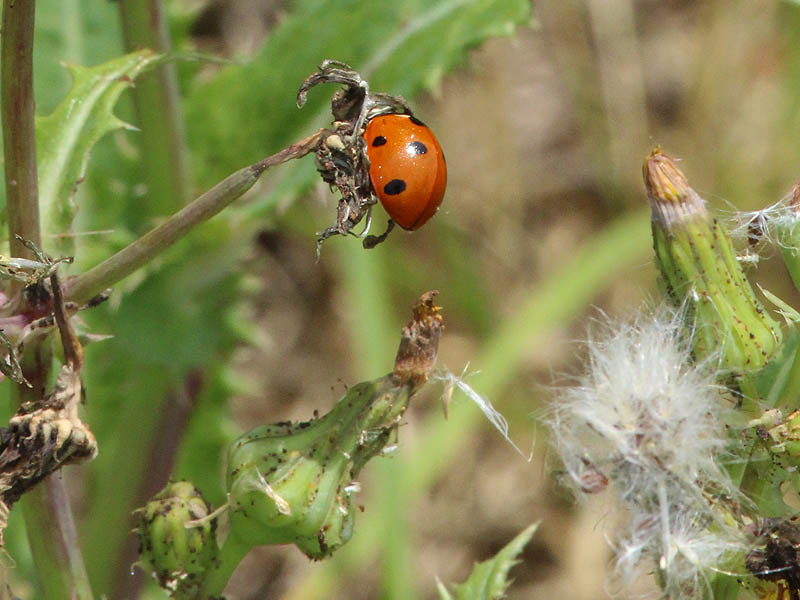 This survey really helps to illustrate how resourceful wildlife can be when it comes to adapting to life in an urban environment. 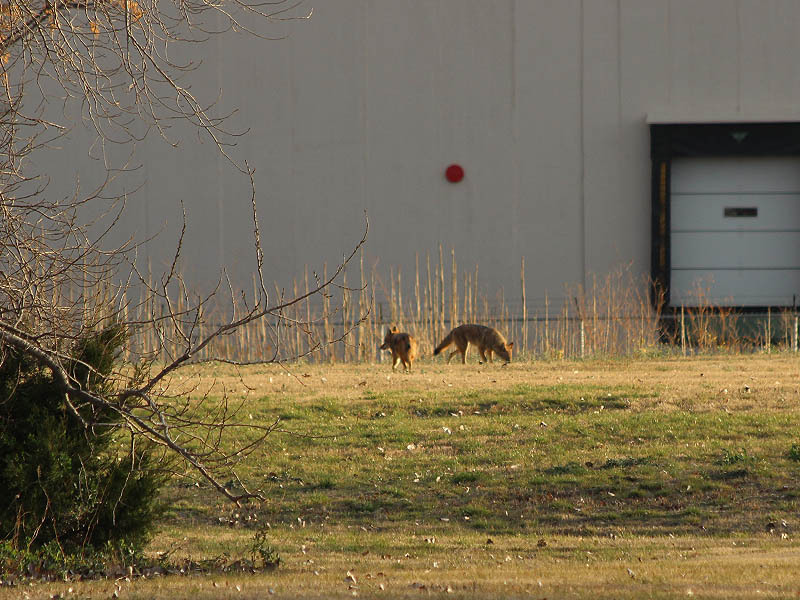 The variety of wildlife in this most urban of areas would surprise most people, I do believe. Here are a few more pictures taken whenever the opportunity presented itself (usually when leaving work on a weekend afternoon). An American Kestrel hunting grasshoppers on an overgrown vacant lot. A Red-tailed Hawk searching for rabbits. A Cooper’s Hawk on the lookout for Mourning Doves. 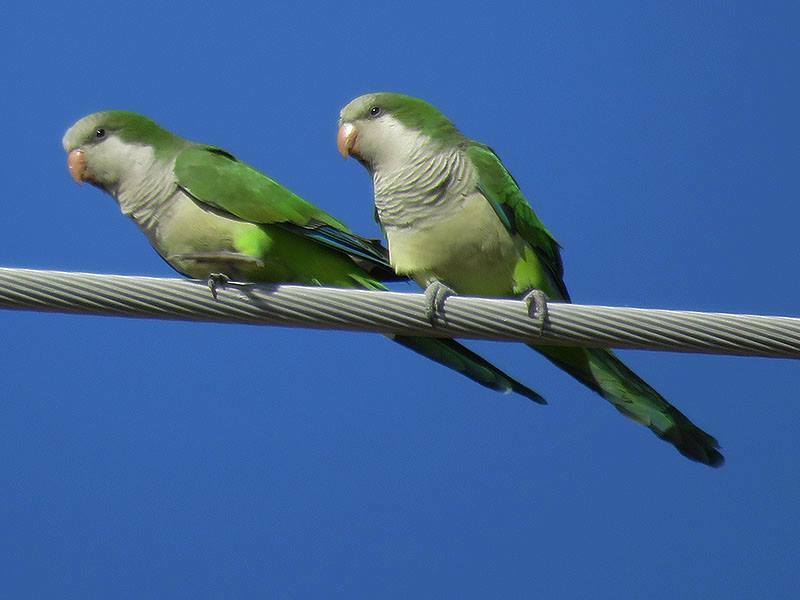 Monk Parakeets attracted to the acorns dropped by the trees surrounding our parking lot. 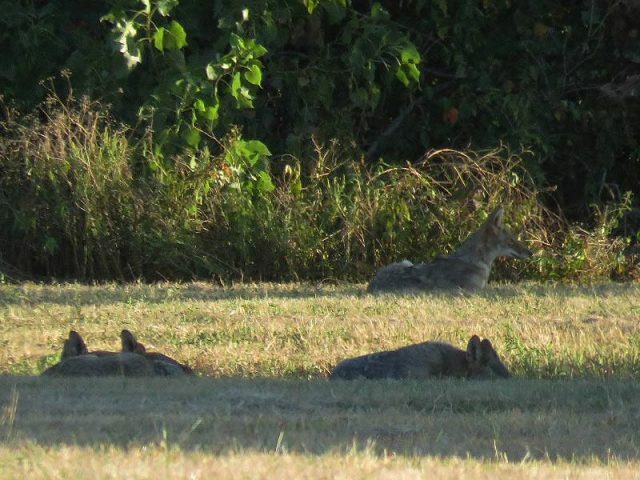 A family group of Coyotes lounging in the late afternoon sun. 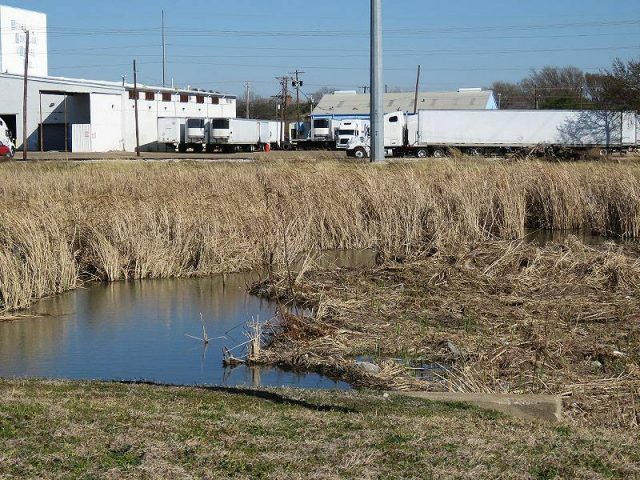 And what about that pond I mentioned earlier in the article? Well, way back in the early days of DFW Urban Wildlife I got word of a Beaver confounding a group of local business owners. The Beaver was doggedly determined to dam up a drainage culvert and nothing the businessmen tried could dissuade him. 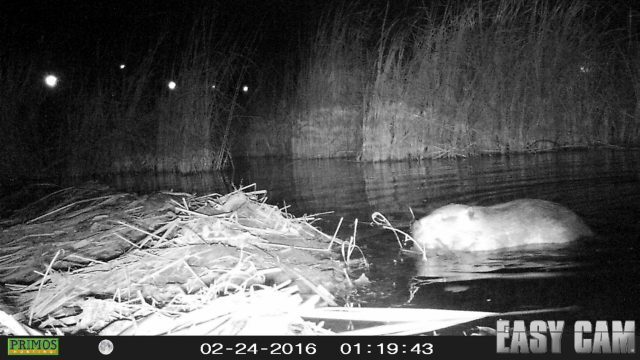 The resulting pond created a flooding issue that nobody—except the Beaver—was really happy about. To their credit, the guys I spoke with about the situation appeared to have the best of intentions. The backed up water needed to be dealt with, but these guys seemed to want to take care of it without harming the Beaver. Their concern about the big rodent’s well being struck me as being sincere. I couldn’t help but think that this would be an interesting situation to keep an eye on. I’ve sat on these pictures for a long time. They were taken at a time when the camera equipment I had was not really up to the job, and I considered most of the pictures disappointing. But now, with the benefit of some distance and some added perspective, I see them in a slightly different way. In a couple of cases these pictures record some truly unique behaviors. 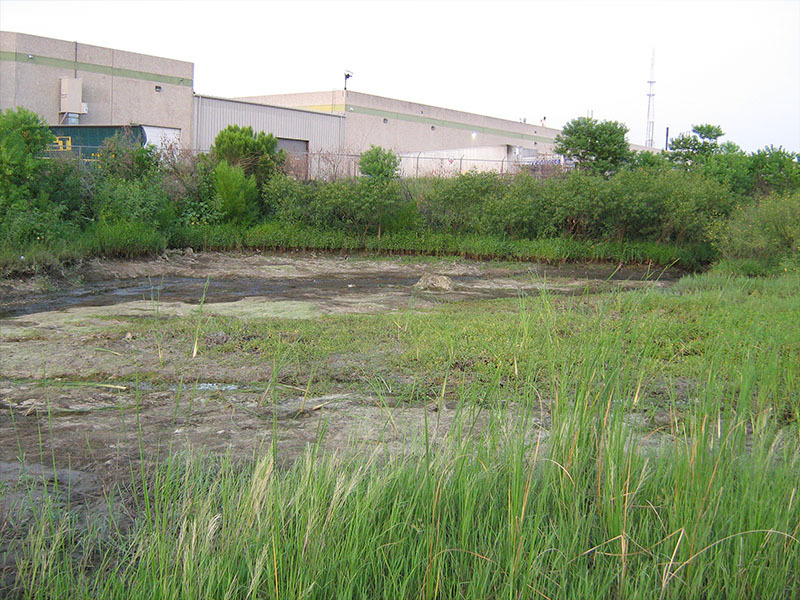 In other cases they simply serve to document the amount of wildlife diversity to be found on this small pond and the surrounding vacant lot. With one of the pictures in this set, I actually got a little bit of a surprise. 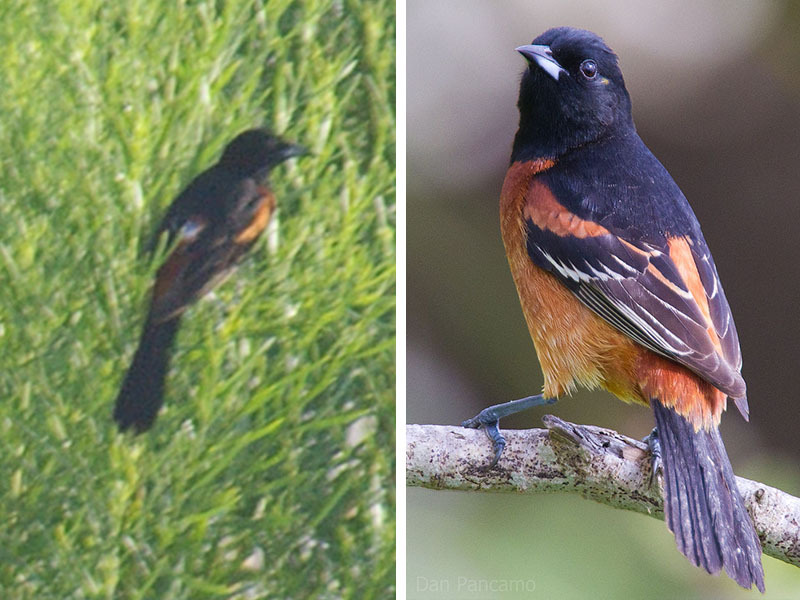 Upon review I discovered that I had inadvertently photographed an Orchard Oriole—a species of bird that I was not previously aware of, and have not seen before or again since. Orchard Oriole. My picture on the left. 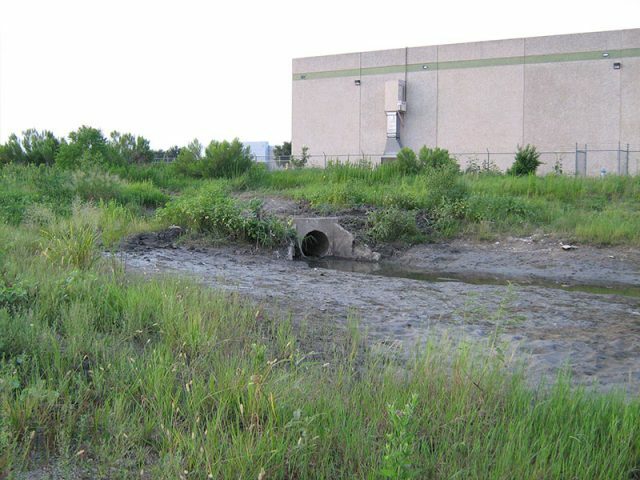 A picture from Wikipedia on the right for comparison. I first visited the beaver pond in August of 2009. I stopped by just before sunset and found the pond full of water and surrounded by dense vegetation. I had just enough time to note the stopped up drainage culvert before our friend the Beaver made his first appearance. 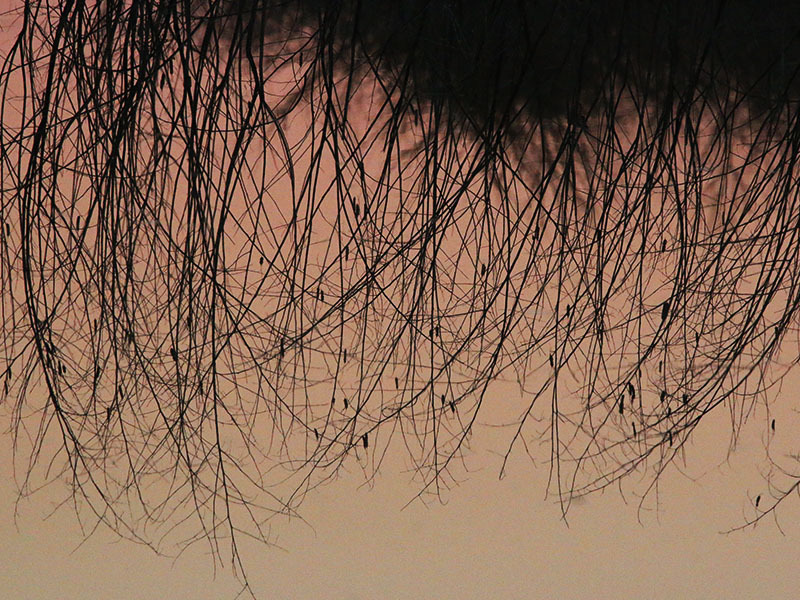 He was on the far bank stripping branches off of a sapling Black Willow. The dammed drainage pipe (or so it was to become known). 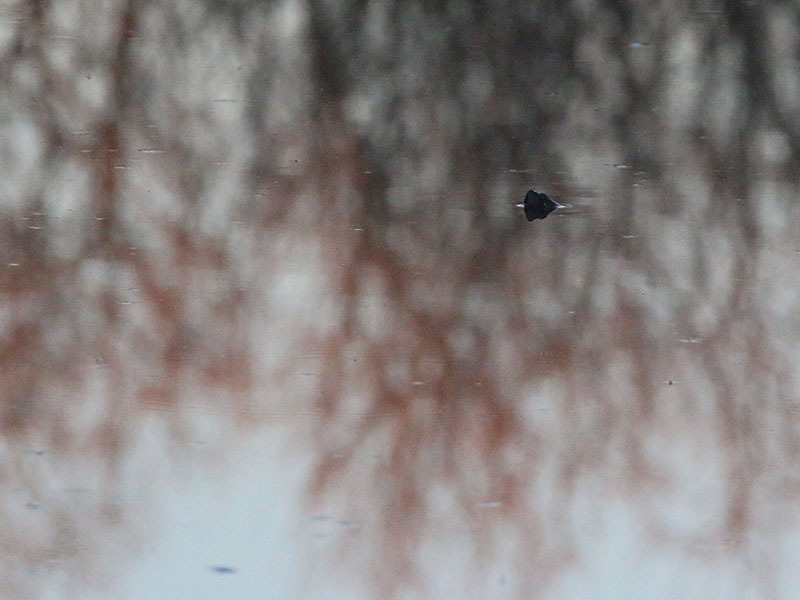 Let me introduce you to Mr. Beaver, rapscallion extraordinaire! The next time I stopped by was a few months later. True to their word, the businessmen had taken action and removed the Beaver dam from in front of the drainage pipe. 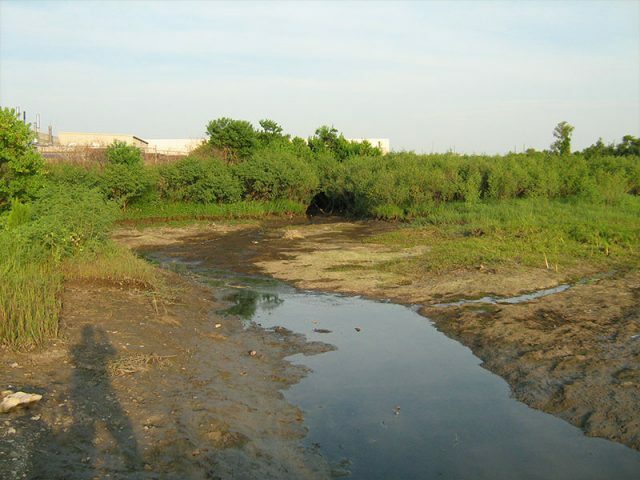 Without the dam the pond was essentially dry, with only a thin stream of water flowing through and then out the culvert. 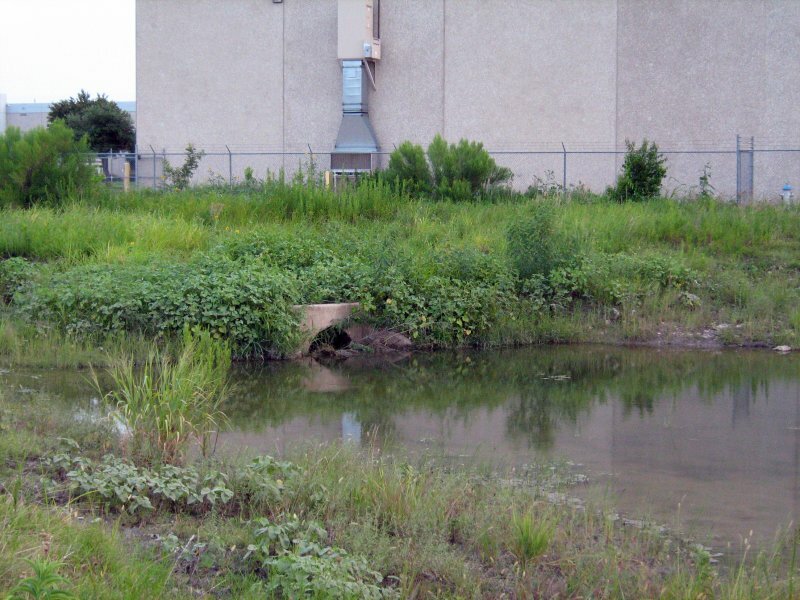 I was a little shocked to find the pond in this state, and so I sat down for a while to see what, if anything, would develop. As the sun began to set, I took notice of all of the wildlife activity still going on in the general vicinity. It was late in the afternoon and most all of the business park employees had gone home for the day. It was just me and the wildlife. 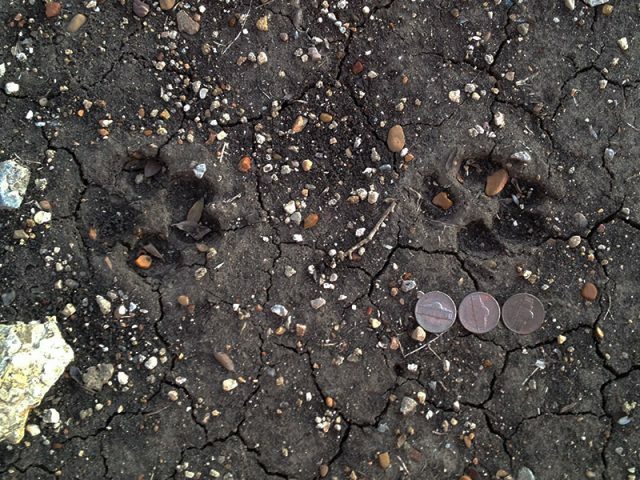 At my feet I found well preserved Coyote tracks. In the air, a remarkable number of birds flittered about. 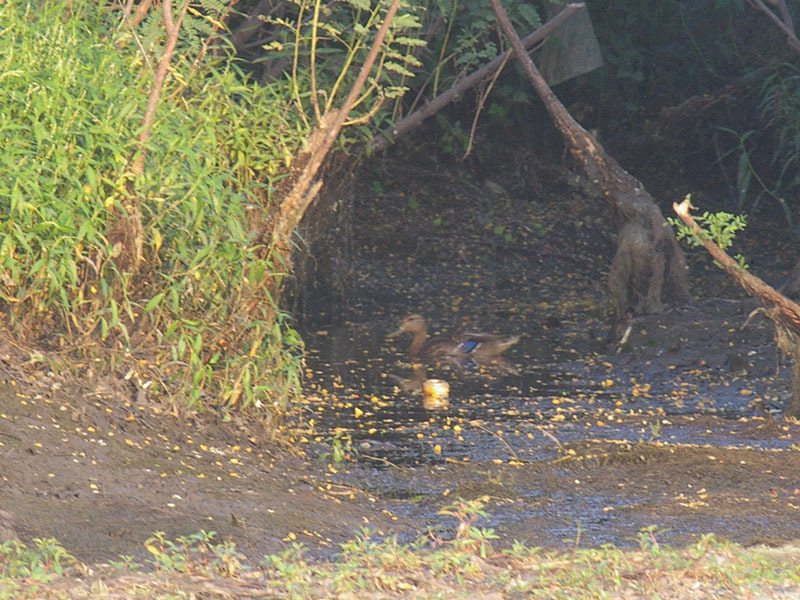 And in the slow moving stream of water that still remained, a lone Mallard had taken refuge. 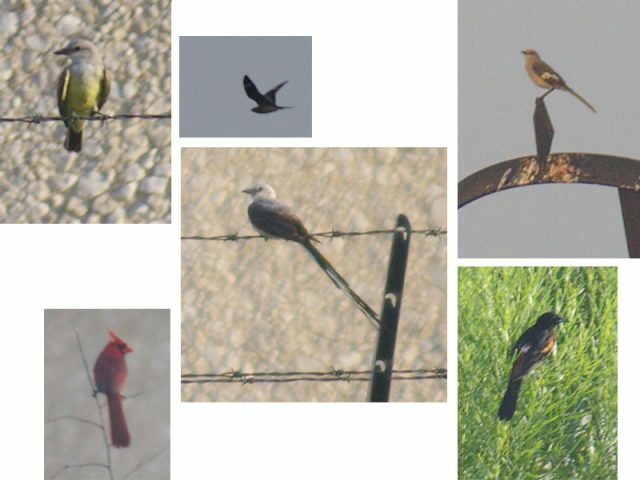 Clockwise from the top right: Western Kingbird, Common Nighthawk, Northern Mockingbird, Orchard Oriole, Scissor-tailed Flycatcher, Northern cardinal. 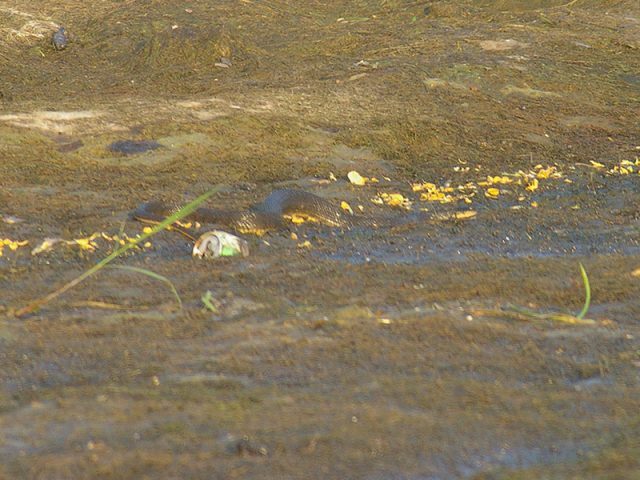 A Red-eared Slider turtle exposing his snout from below the water for a quick breath of air. Also present in and around the water was a menagerie of small fish left stranded by the retreating water. Sunfish, shiners, and catfish were all present. 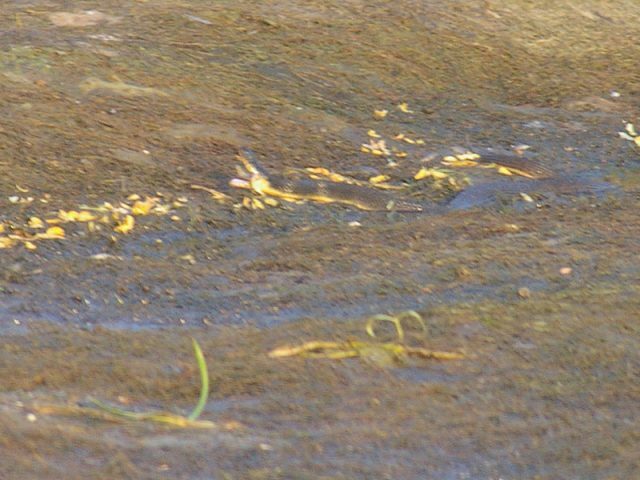 As I was taking stock of this situation, I noticed some movement and a flash of color in the stream of water near the inflow. 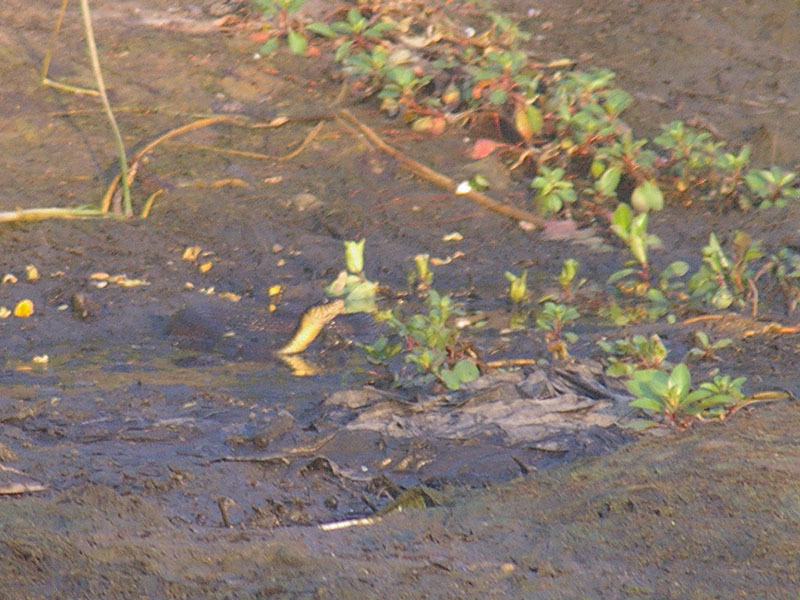 A Yellow-bellied Water Snake was making his way through the muck, stopping only to feed on the trapped fish whenever he happen upon one. 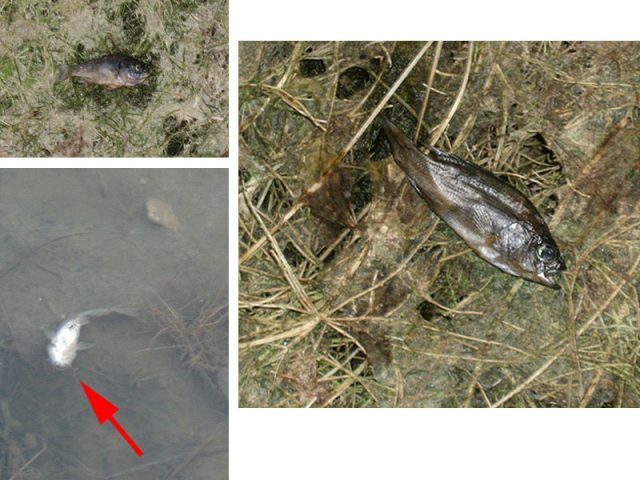 Feeding on a trapped fish. Turning to look for another. 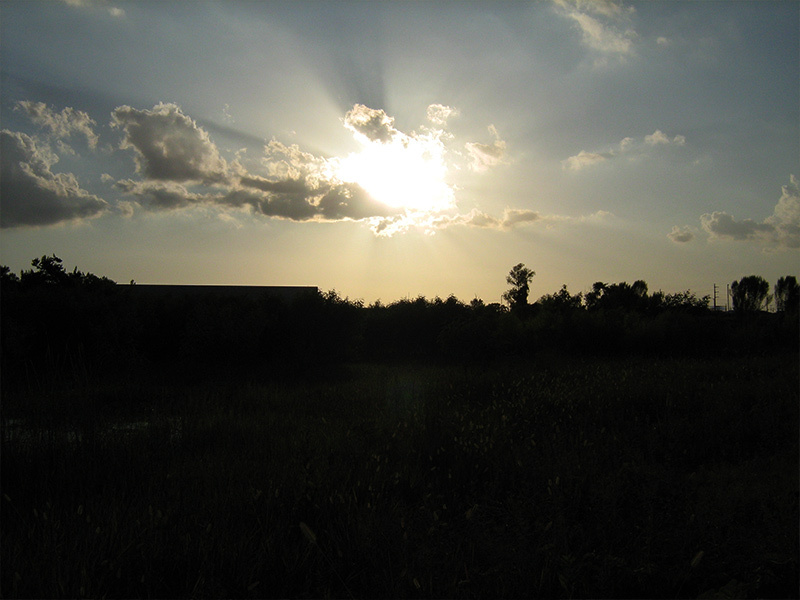 The sun sets on the Garland Beaver pond. I stayed away from the pond for several years afterwards, figuring the situation had played itself out. 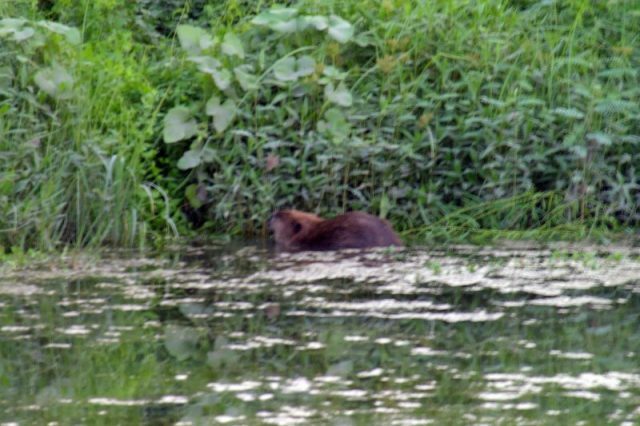 When curiosity caused me to stop by again in the spring of 2013, I was surprised to discover that the Beaver drama had continued unabated in my absence. The water in the pond had returned, and so had the Beaver dam. This time it was constructed around a metal mesh cage that had been installed over the drainage culvert. A very unique urban Beaver dam. 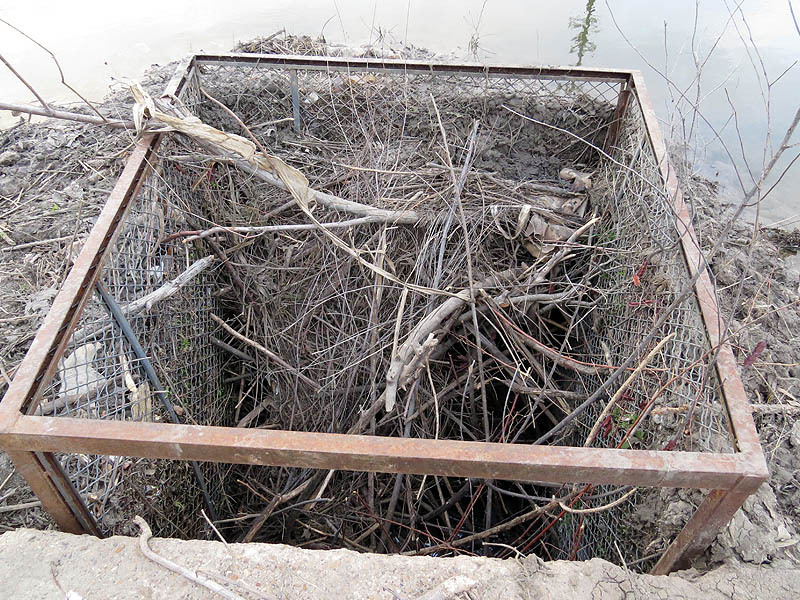 This time when the Beaver reconstructed his dam, he did so right up against the metal cage. 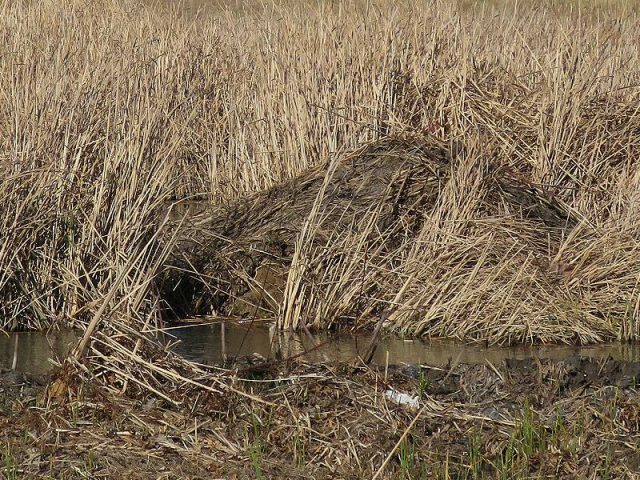 The result was a perfectly square Beaver dam—something you certainly do NOT see everyday! From the looks of things, the struggle with the Beaver must have continued through several more iterations while I was away. Thais is one determined little rodent! 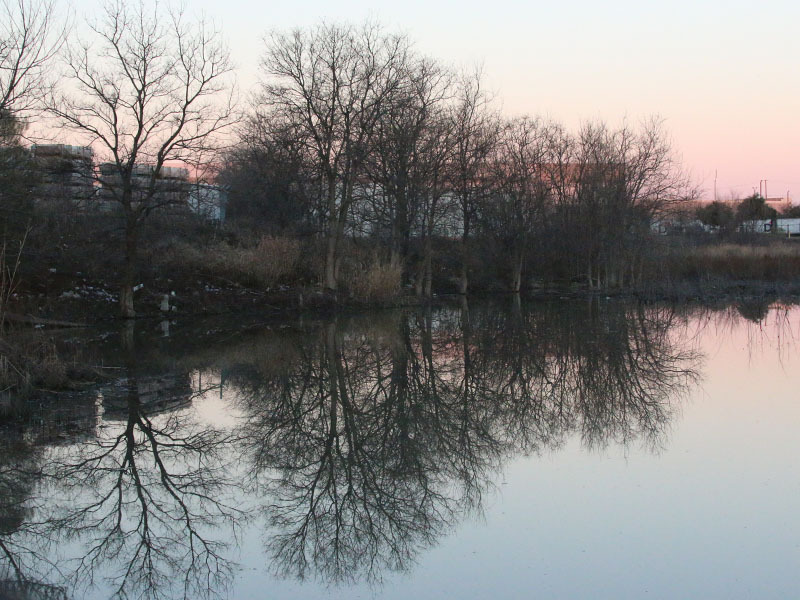 I visited one last time early this winter and found the pond still full of water. 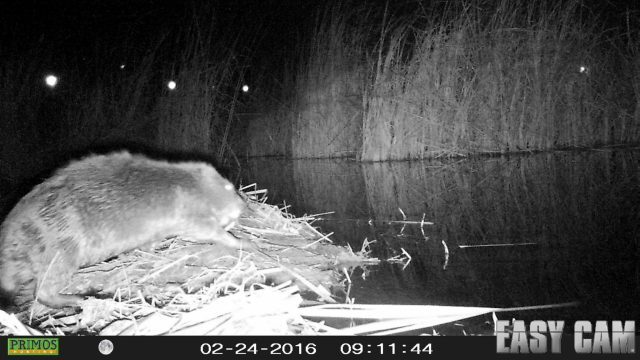 The metal cage was gone, but Beaver and his offspring appear to still be holding their own in this challenging urban habitat! The water smooth as glass. What a beautiful article of a real nature lover! Thank you very much for sharing your thoughts and posting so many amazing photos. I do not recall reading anything so warm and loving about nature recently. I am sorry that you are leaving so many “friends” behind but I am sure you will meet new ones at your new office location. Animals are so amazing! They make their home anywhere. Unfortunately all we, people, make is concrete. I will you all the best! What a wonderful article!! Thank you for posting this. We have lots of natural wildlife in our area, and I always enjoy seeing variety in nature. Wonderful article, beautifully written. Thank you for noticing nature and sharing with us! I found this lovely article while looking to identify some “parrots” we have recently observed in our yard. We live in Richardson and have run across some interesting wildlife as well. 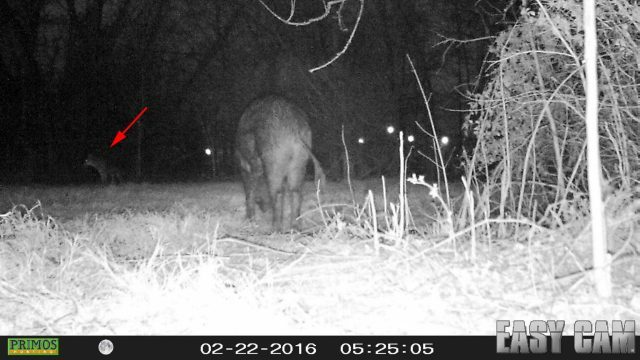 Most recently, a very large bobcat. 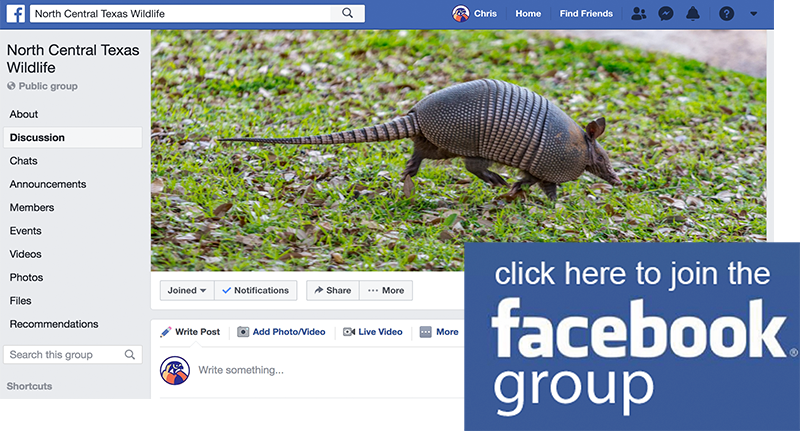 This article was a beautiful testament to another humanitarian with a love for Texas wildlife. THANK YOU for sharing! Chris, great article. And your photos are wonderful. Miss seeing you at work on a daily basis. Thank you for sharing so many wonderful photos and a tour down memory lane. Thanks!! this made me smile . Your informative article is beautiful. It is well written and your pictures definitely enhance it. Little did I know there was that many wild animals in our urban area. Thanks so much for sharing!